I just love it when an author throws me for a loop. I was so disappointed in this novel while reading it until ~that part~ happened and all of your skepticism is validated and allowed. After reading History is All You Left Me and jumping back in Silvera's timeline, I now see serious growth as an artist. A long review on this book is dangerous because it could give away a serious spoiler to the entire thing so I'll keep it brief. 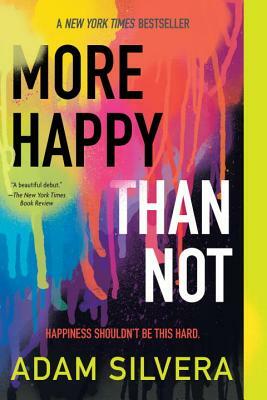 This is the perfect novel for anyone, not just LGBT people, but for anyone on a journey to find happiness. A reminder to everyone how important our memories are and how the past shapes our present and future.